LMCTF is back! they are running a very tight operation over here read the photo for info if you want to join in on the action! started at 10PM Eastern maybe a little bit earlier.. had a solid 2 hours of 6v6 7v7 8v8 games on about 6 or so maps! Thank you everyone who stopped by! LMCTF week 2 was another success! players were arriving 30 minutes early before 10PM eastern to warm up and set their configs! 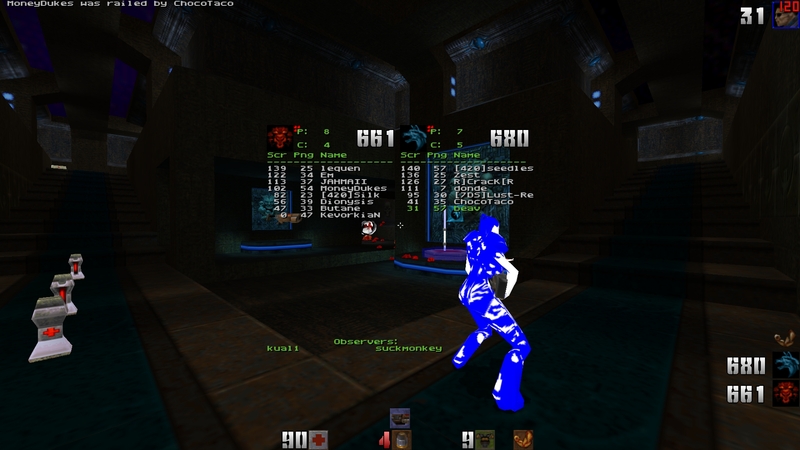 played about 7 or so maps 5v5-8v8s tons of guys using voice chat on Q2CTF Discord over 150 members with 60+ active idlers! invite link here share it with all your friends! 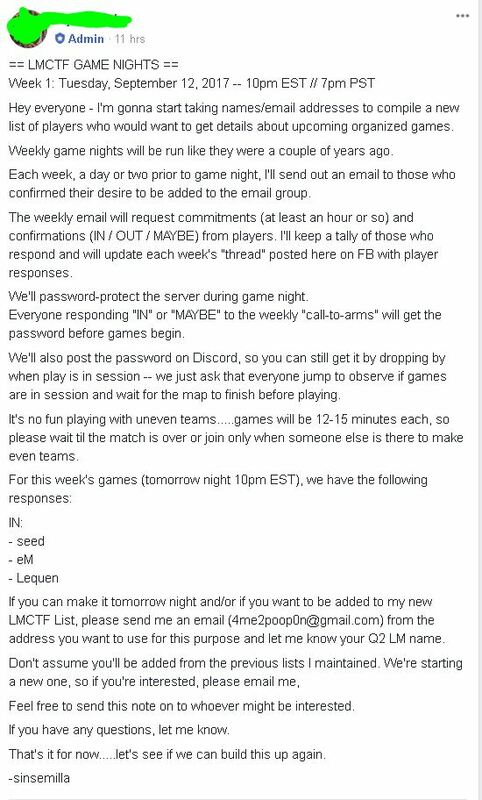 Week 4 of LMCTF is tonight Tuesday 10PM Eastern! had a nice turn out the past 3 weeks hope to see some more of you guys tonight!